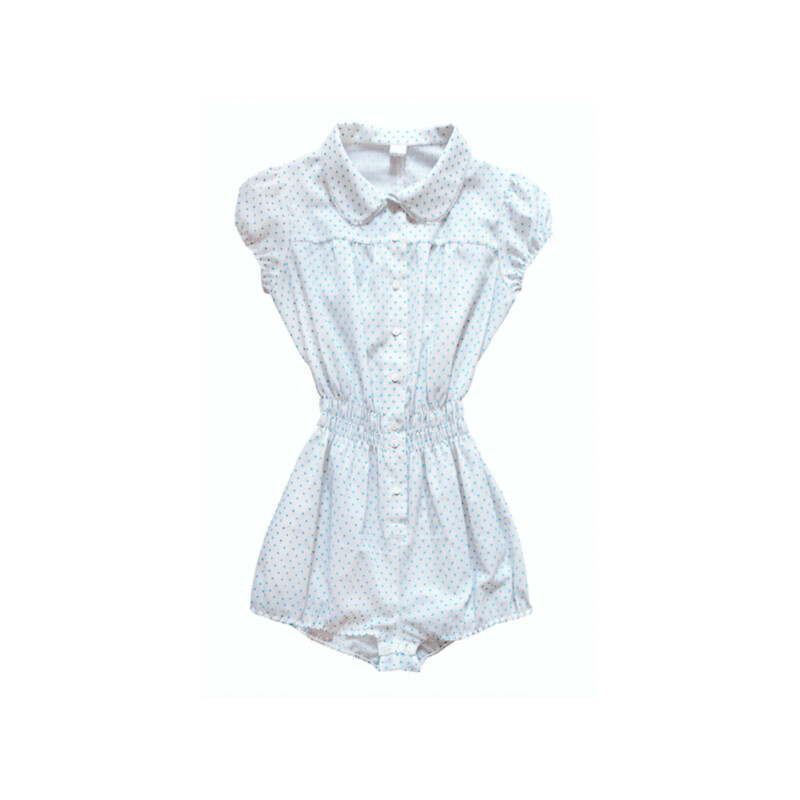 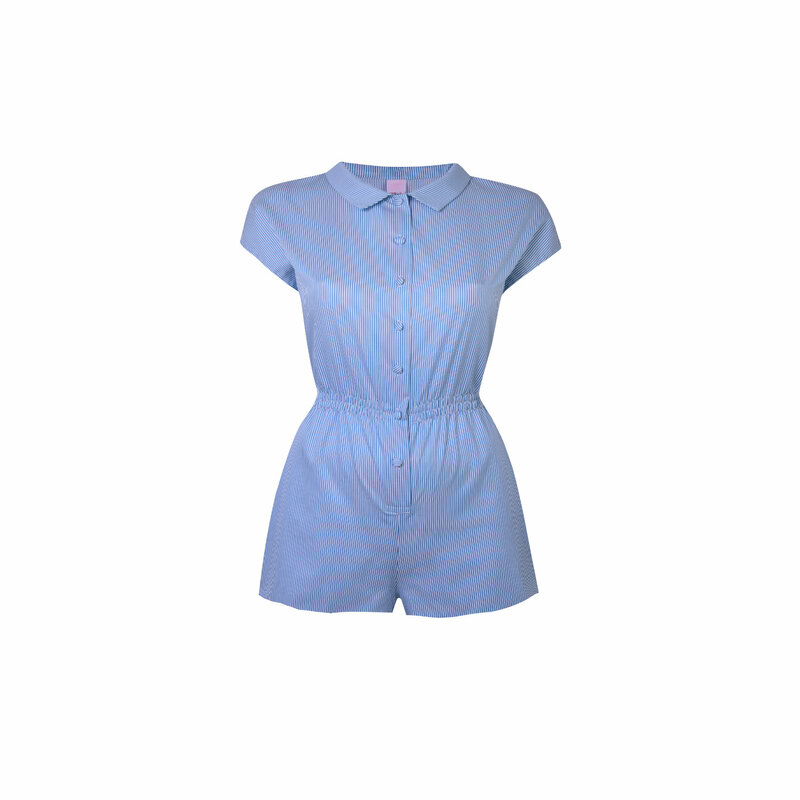 The Babyshort playsuit with capped sleeves, dainty collar and neat shorts. 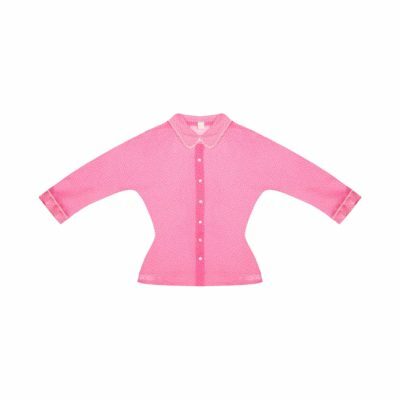 Front button fastening and a ruched in waist for a feminine silhouette. 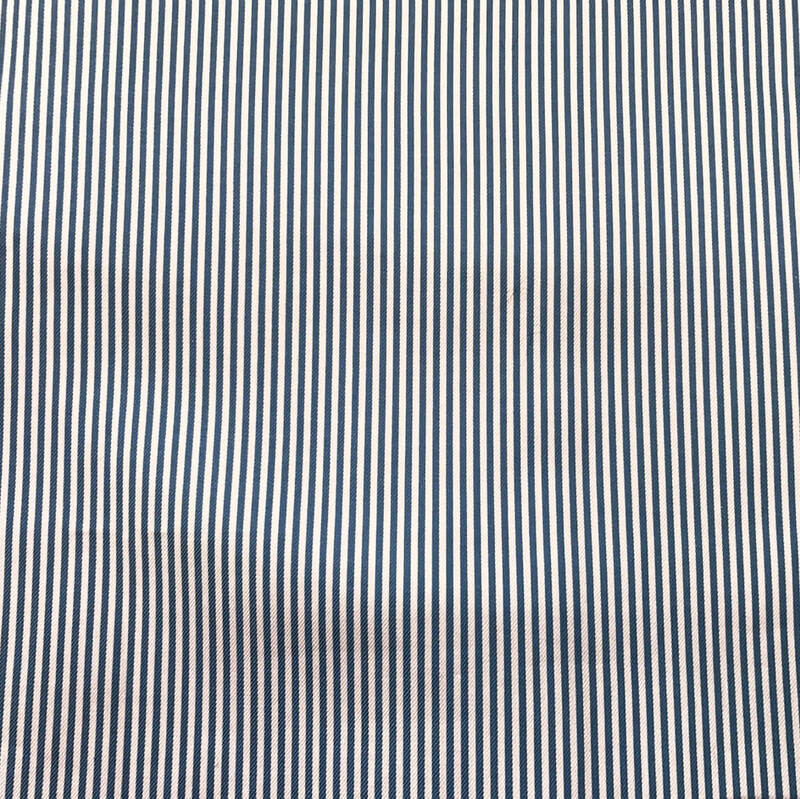 Cotton twill with blue & white stripes. 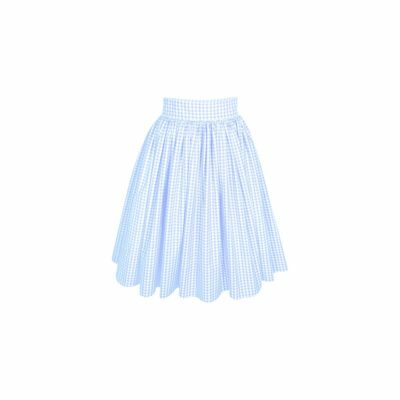 Available in burgundy & white and grey & white.